Electrolysis of copper sulphate. Glass beaker of copper sulphate solution (blue) into which two copper electrodes have been placed. The electrodes are connected to a power supply (orange). 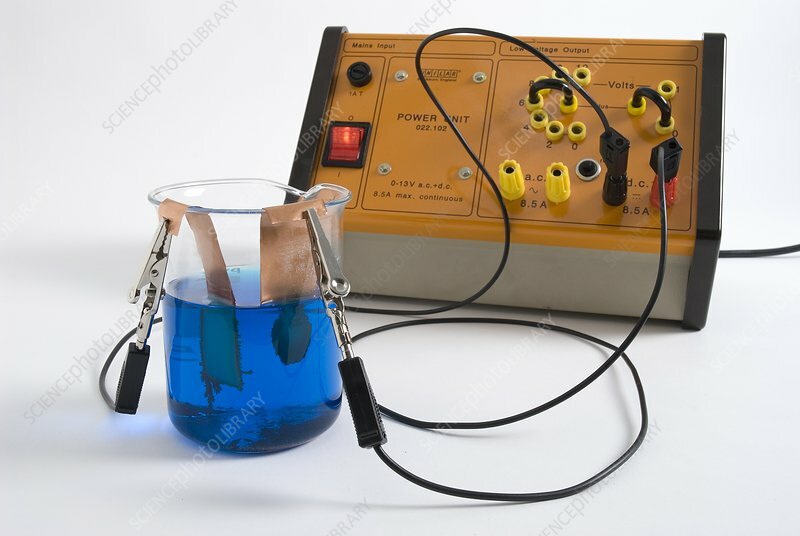 Passing an electric current through copper sulphate separates the copper from the sulphyr and oxygen. Copper is removed from the positive electrode (anode, right) and deposited on the negative electrode (cathode, left).